Budget business. 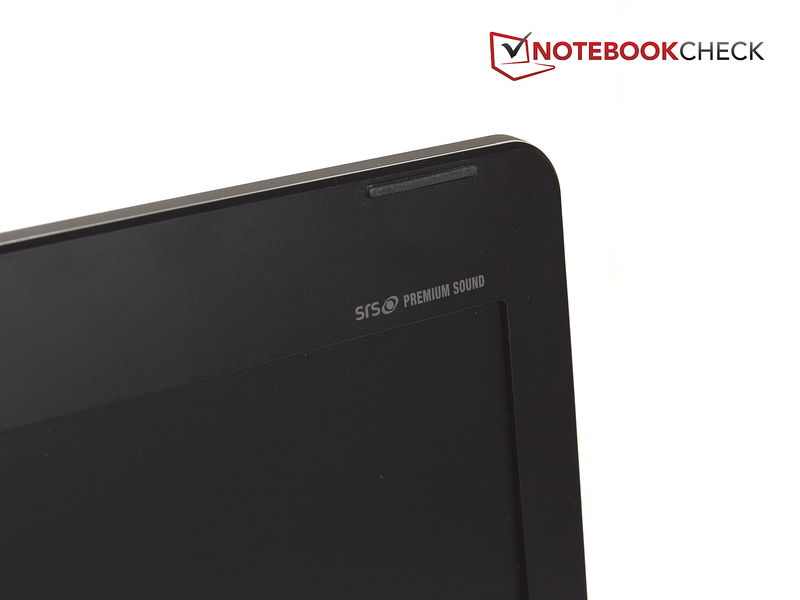 We are reviewing the latest 13 inch model of HP's ProBook S series called ProBook 4330s. A metal case with business qualities and UMTS in a subnotebook for less than €500? Read how this is accomplished in this review. 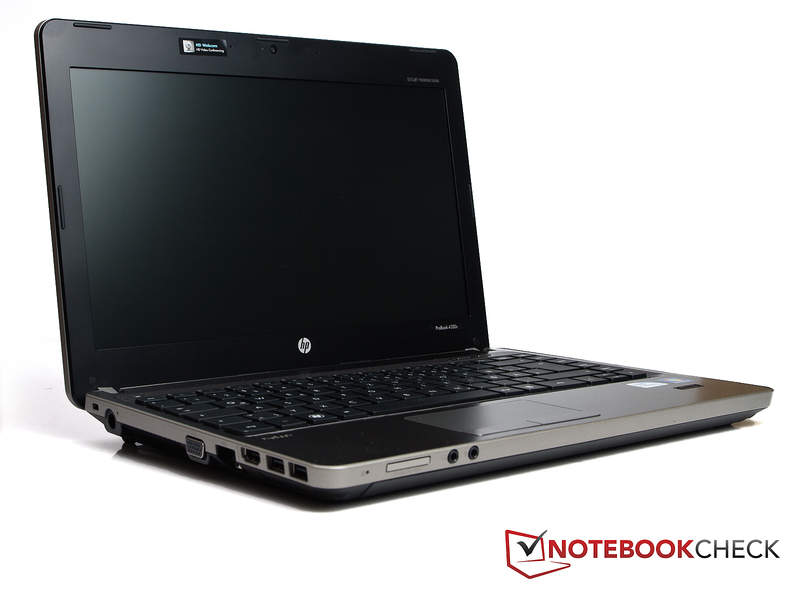 The HP ProBooks of the S series create the entry level of the ProBook family. They are positioned below the higher quality EliteBook series. Buyers looking for an attractively priced notebook and don't want to waive on a matt screen or metal case could find this one to be just right. While we have had the 17 inch 4730s model and the 15 inch 4530s in for review, it is now the 13.3 inch model's turn. The list of the notebook's optional equipment is long and extensive. Everything from a simple Intel Celeron processor up to a high performance Intel Core i7 processor can be found here. However, we are at the lower end both in terms of performance and price. 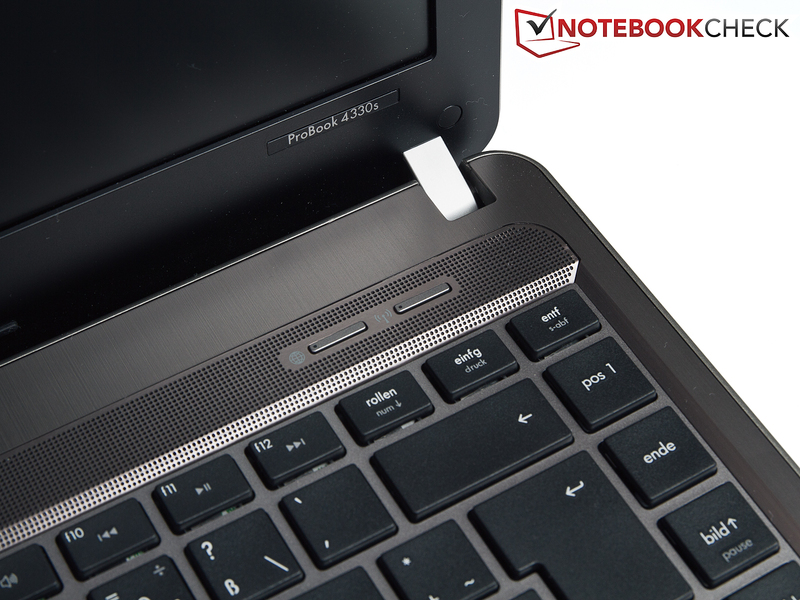 There is hardly a more affordable entry into the ProBook family possible at the moment. Our notebook configuration currently only costs about €429. 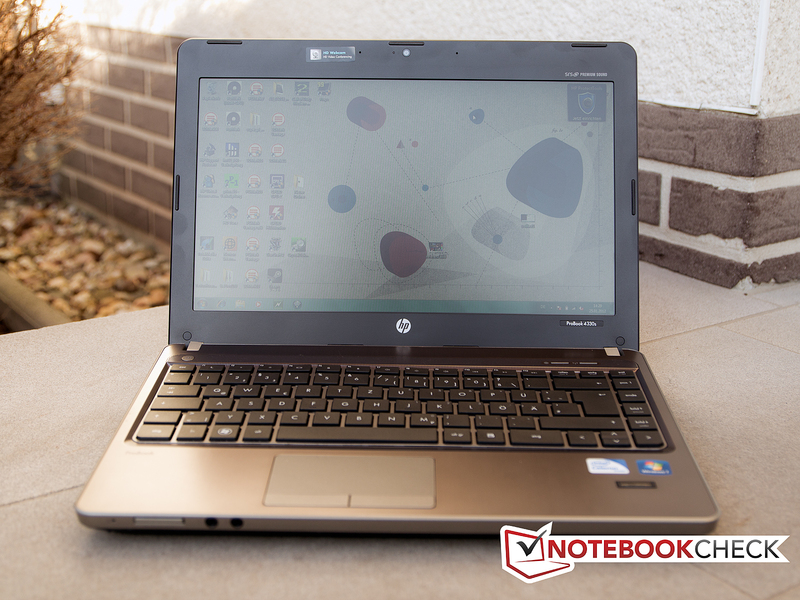 We will find out if the notebook really earns the name ProBook or if HP has made too many cutbacks in our review. Alike both larger models, HP ProBook 4530s and HP ProBook 4730s, the 13.3 inch subnotebook has been made in the latest ProBook design. It also looks good on this smaller model. Matt aluminum surfaces and quality-looking plastic dominate the HP ProBook 4330s' appearance. Although they don't make the notebook indestructible, the surface remains spared from fingerprints for the most part in contrast to many consumer notebooks. The user won't have the feeling that he is dealing with a notebook that doesn't even cost €500 in terms of manufacturing quality, either. The case makes a very robust impression. Most surfaces, like the wrist rest, can't be dented even when high selective pressure is applied to the top of the base unit. It looks the same with the keyboard. Only the area directly above the optical drive yields a bit. The approximately 9 millimeter thick screen can be twisted with moderate force. However, this doesn't cause color distortions. The hinges are only pulled so tight that opening the lid with only one hand is still possible without having to hold down the base unit. On the other hand, the hinges are pulled tight enough to keep the display where it belongs. 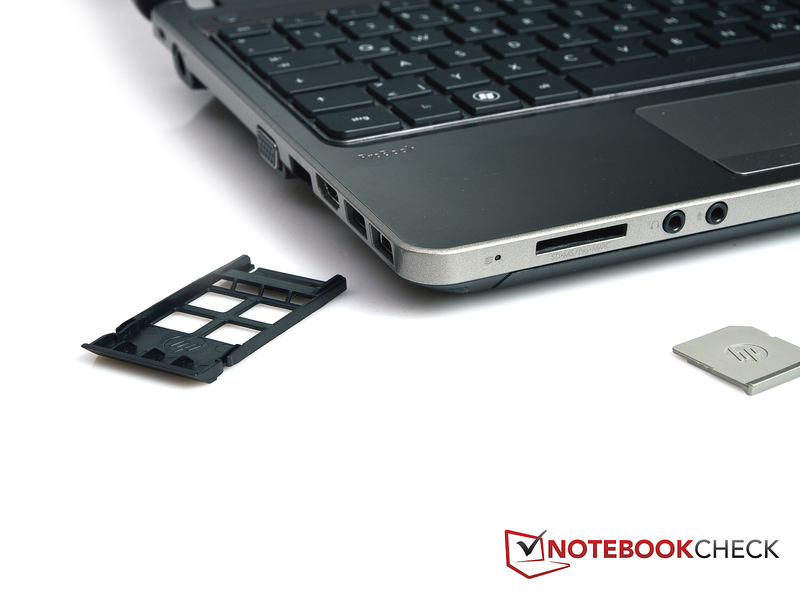 A few cutbacks have to be accepted in terms of connectivity in the low-priced ProBook models. There is no USB 3.0. Only 4 USB 2.0 ports are installed (2 on the left, 2 on the right). Moreover, neither an eSATA nor a FireWire port is available. An external hard disk can only be connected via USB 2.0. The transfer rate doesn't really comply with the current standard compared to an external hard disk connected via USB 3.0. Besides that, the user has to live without a docking port. Fortunately, HP builds in an ExpressCard 34 slot despite the cost-cutting measures. The integrated card reader only supports the formats SD and MMC. 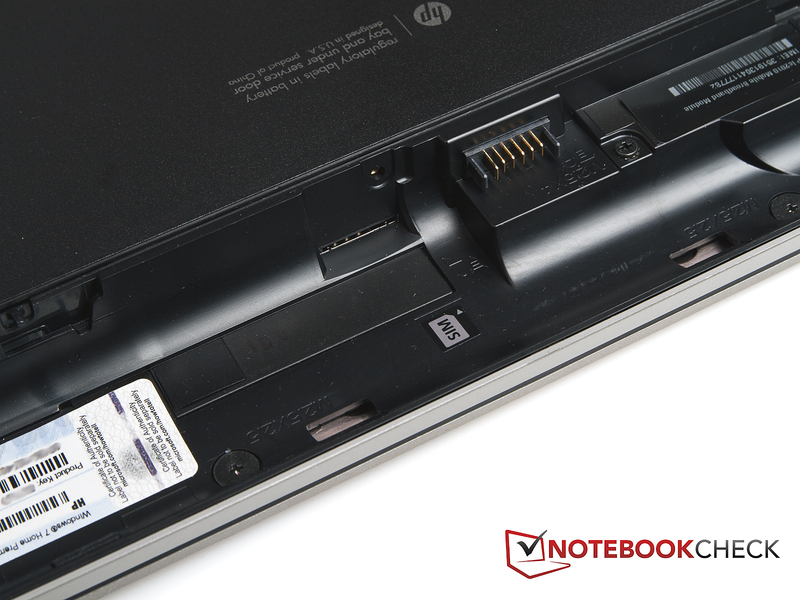 The interfaces on the HP ProBook 4330s are all located in the notebook's front area. Thus, it can quickly get tight when a lot of peripheral devices are connected. The LAN, HDMI and both USB ports are placed very close beside one another on the left, for example. Consequently, the use of a neighboring port may be obstructed when a device has a bigger connector. Possible impairments by cables and connectors can't be excluded either. 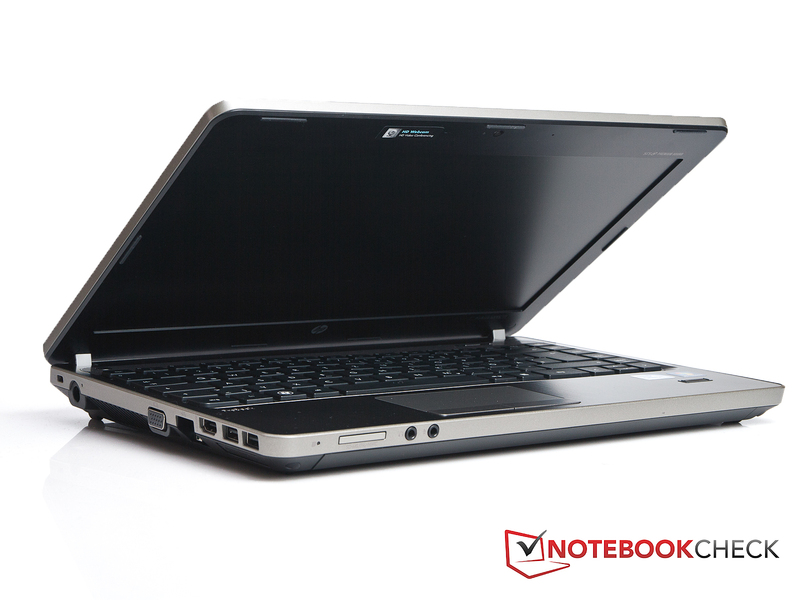 The ProBook 4330s is again equipped all business-like in view of communication options. Besides Gigabit LAN from Realtek, it has the WLAN standards 802.11 b/g/n and Bluetooth 3.0 +HS. HP also installs an in-house Ic2010 mobile broadband adapter, which enables UMTS, in our test sample. Thus, the ProBook 4330s doesn't leave anything to be desired in this point. As usual, the scope of delivery is slim. In addition to the notebook, the power adapter and the corresponding cables, a bit of printed documentation for the first use, as well as a warranty certificate is in the box. There are no recovery or driver CDs. 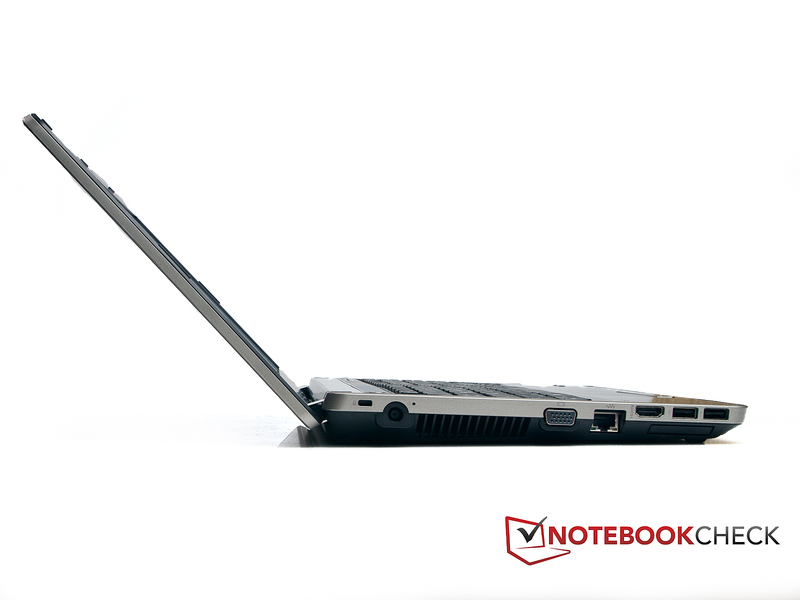 Despite the low price, the notebook still wears the name ProBook - and they have always included extensive security tools and software until now. A fingerprint reader and the software, HP ProtectTools take care of security matters in the 4330s. HP Protect Tools is also included in the scope of delivery of the higher priced models. It is a whole collection of various programs. Face detection, file encryption and file shredding are just as included in the bundle as, for example, notebook localization in case of theft (however a subscription fee is charged for this service). There is also a whole range of useful software besides ProtectTools, such as HP's Power Assistant, which determines the power consumption rates and facilitates energy saving measures. Alike the bigger models, the hardware can be accessed via a large cover on the bottom. It can be opened without any tools and makes it easy for the customer to replace hardware components. The cover enables accessing the processor, hard disk and both RAM slots. Upgrading the RAM isn't a problem. Although one slot is unoccupied, we would recommend replacing the 2 GB bar with a 4 GB bar and inserting an additional 4 GB bar in the empty slot. Cleaning the cooling system might prove to be more difficult because the heat exchanger of the heat pipes is hidden underneath the edge of the chassis. In return, cleaning the fan isn't a problem. 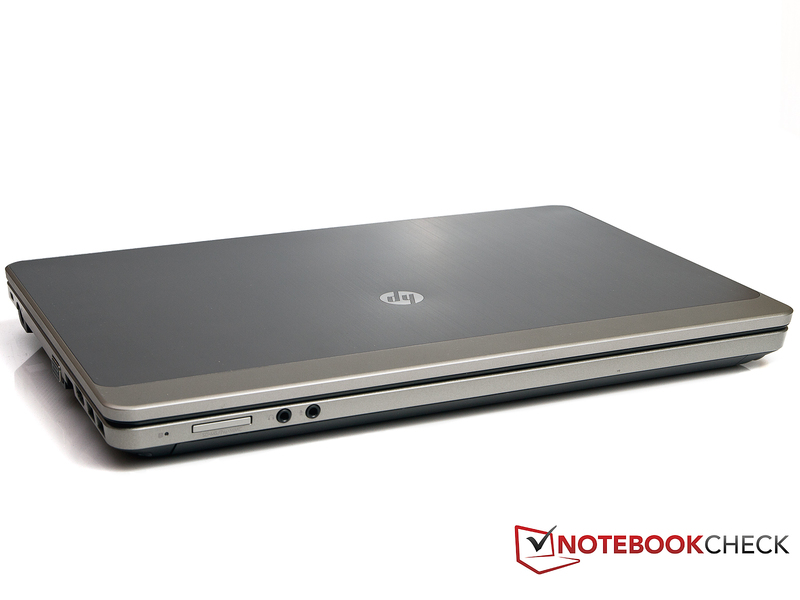 Alike its bigger siblings, the HP ProBook comes with a standard warranty of one year. If that isn't sufficient, it's possible to extend the warranty period up to 6 years. But if that makes sense in view of a price of €300 is something everyone has to decide for themselves. A keyboard model with free-standing keys, a so-called chiclet keyboard, is used. There is a narrow rim on both the left and right of the keyboard, thus the keyboard doesn't use the notebook's entire width. 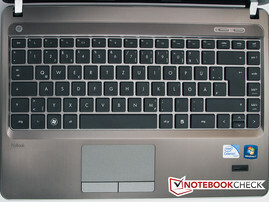 Nevertheless, HP has managed to build in keys with a size of 15x15 millimeters. The gap of about 4 millimeters between the keys is also sufficient. A number pad didn't fit into the laptop anymore and the arrow keys have also been reduced considerably (in particular the up and down key). The typing feel convinces right away when working with the HP ProBook 4330s' keyboard. The short key drop and clear pressure point enable fast and pleasant typing, providing that this kind of keyboard is preferred. However, it isn't fully convincing since it has a few minor flaws: First, the keyboard yields, as mentioned in the previous topic. We notice how the keys yield a bit in the area over the optical drive when a slightly firmer pressure is applied. Secondly, the typing noise sounds a bit clattery and doesn't make as a high-end impression as the keyboard's look suggest. 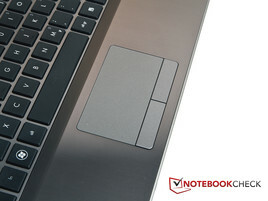 The touchpad in the HP ProBook 4330s has a size of 87x43 millimeters (diagonal of 96 millimeters). The surface is smooth and has good gliding traits. Multi-touch is also supported, but there is neither a vertical nor a horizontal scroll bar. They can't be enabled via software, either. But that is only a minor drawback because the multi-touch functions do a good job with scrolling. Both mouse keys beneath the touchpad have a very short key drop and firm pressure point. A clearly audible "click" confirms whether or not the key has been triggered. Overall, the touchpad and both keys are acceptable. As usual for ProBooks, HP relies on a screen model with a matt surface. The used screen has a 13.3 inch size and has an aspect ratio of 16:9. The screen has a resolution of 1366x768 pixels and thus corresponds to the current standard for this screen size. When looking closer at the screen, another cost-cutting measure by HP becomes evident. Although it is a matt screen, it is not a particularly good one. The average brightness of 180.7 cd/m2 is sooner lower average and the maximum brightness of 194 cd/m2 is also rather moderate. In return, the illumination of 87 percent is agreeably homogeneous. Another plus is that the screen's brightness isn't reduced on battery power. But then, it doesn't look as good with the black value. We measure 1.34 cd/m2, which is a bit increased. Consequently, not only do black areas look a bit grayish in games and movies, but the contrast is also affected by this rate. The maximum image contrast only results in poor 138:1. There aren't any surprises in terms of color reproduction either. The sRGB color spectrum doesn't come close to being covered. That is usually not a devastating thing for Office users and is only of interest for professional image or video editors. The notebook benefits from its matt screen outdoors. Although the screen's brightness isn't overly high, working on the HP ProBook 4330s is comfortable outdoors. A higher contrast and a bit more brightness would have nevertheless been appreciated. The viewing angles from which something can be seen on the screen are good, but not excellent. The field of view is fairly large when the display isn't tilted, like with most contenders. It's possible to sit in front of the notebook with several people and still have an undistorted image. The content's legibility quickly deteriorates as soon as the screen is tilted back or forth. It's also not as bad when looking down on the screen as when looking up on the display. Our test sample belongs to the performance weaker configurations of the 4330s that HP has in its range. In return, it is also quite inexpensive. Thus, it is primarily suitable as a small, mobile Office notebook. The Intel Celeron processor should also ensure a good battery runtime. The installed 2 GB RAM and the fairly small 320 GB hard disk make it even more obvious where the HP 4330s-LW759ES is positioned. At least it has a UMTS module. The built-in Intel Celeron B810 processor is a member of the latest Sandy Bridge family, to which the current Core i3, i5 and i7 models also belong. The Intel Celeron B810 is a rather unknown processor compared to the Core models. 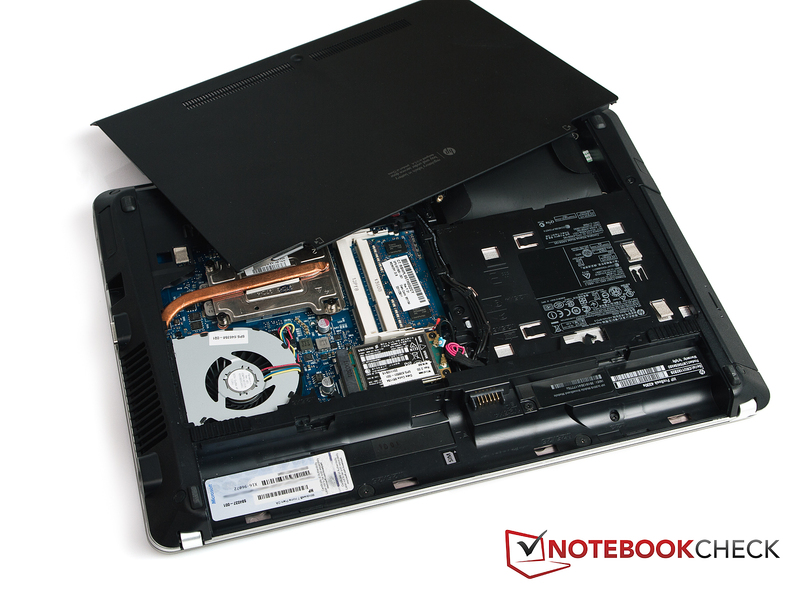 The majority of manufacturers sooner opt for a Core i3 than the Intel Celeron for their entry level notebooks. Our database, where only one single notebook with an Intel Celeron B810 processor is listed, confirms this. The Celeron processors represent the low end of the Sandy Bridge family in both price as well as performance. Even the Intel Core i3 processors have Hyper Threading, an Intel HD 3000 Graphics and a few energy saving modes. Both cores of the Celeron B810 are clocked with 1.6 GHz and therefore approximately correspond to a 1.7-2.0 GHz Celeron from the Arrandale family. Many features of the Core models aren't implemented in the Celeron models in order to save expenses. For example, it completely lacks functions like Turbo Boost, Hyper Threading and AES. Energy saving modes may also even be disabled in a few models. Rather than integrating the Intel HD 3000 Graphics of the current Core models, the Celeron models only have the Intel HD Graphics. We use the program Cinebench, versions R10 and R11.5, to assess the processor's performance. First, we look at the Cinebench R10 single rendering (64 bit) benchmark, which only assesses one processor core. 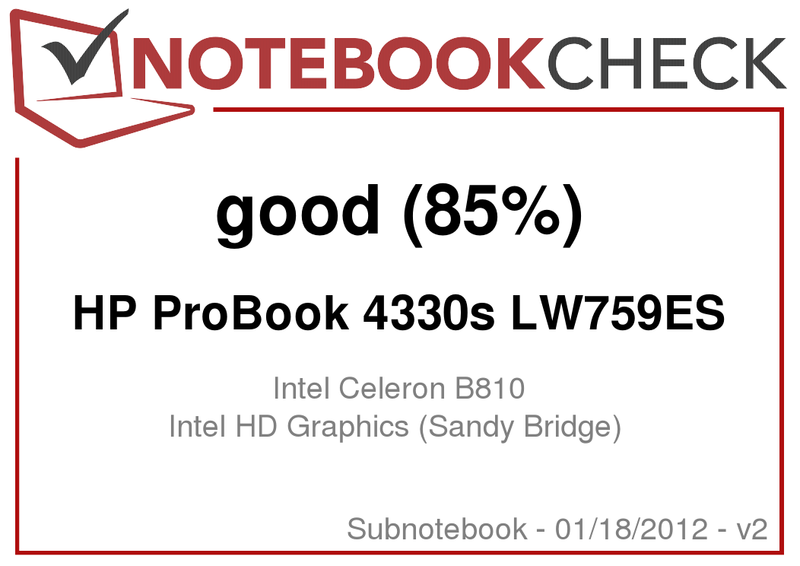 The Celeron B810 processor is at the lowest end of our chart. 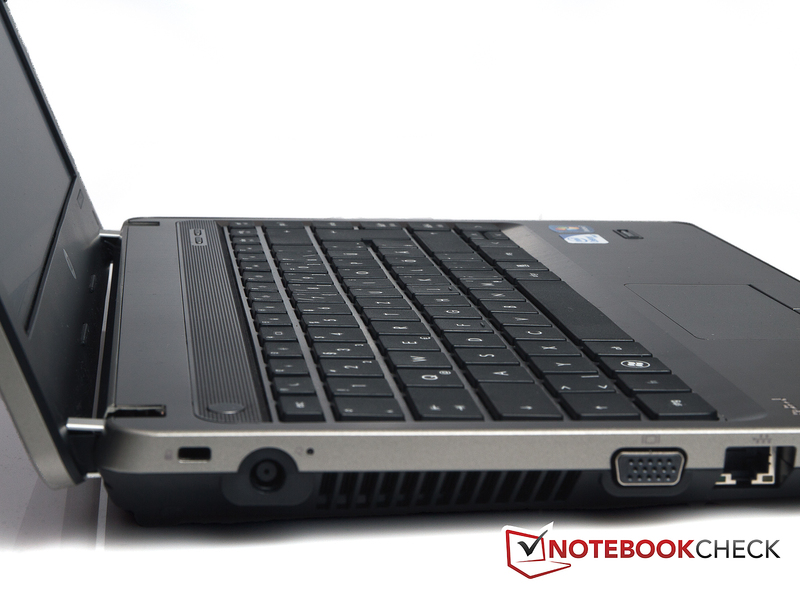 A few tablet PCs could already be a threat for the HP ProBook with its 2550.0 points. The Asus Eee Slate EP121 (470UM, GMA) with an Intel Core i5-470UM is right behind the ProBook with 2524.0 points. Just to what extent the B810' functionality and performance has been slimmed down becomes evident when it's compared with a current Intel Core i3-2310M. 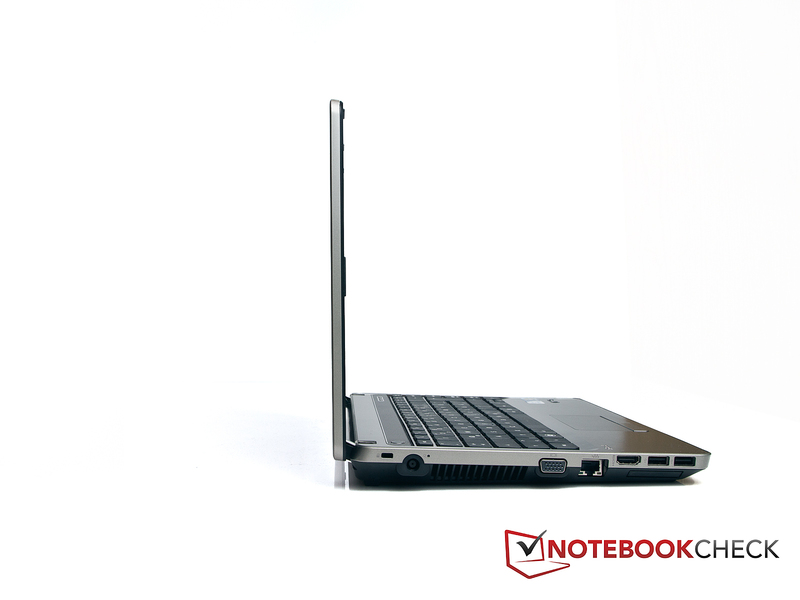 For example, the MSI CX 640 notebook (2310M, GT 520M) reviewed by our colleagues at Notebookcheck.pl achieves a much better rating with a score of 3319.0. It looks similar in the Cinebench R10 multi rendering (64 bit) benchmark. The 4330s reaches a score of 4995.0. Again, the 4330s is just before the Asus Eee Slate EP121 (470UM, GMA) with 4947.0 points. Compared with an Intel Core i3 processor, the i3 is again significantly better. The Lenovo IdeaPad Z370 (2310M, Geforce 410M) achieves 7398.0 points here. 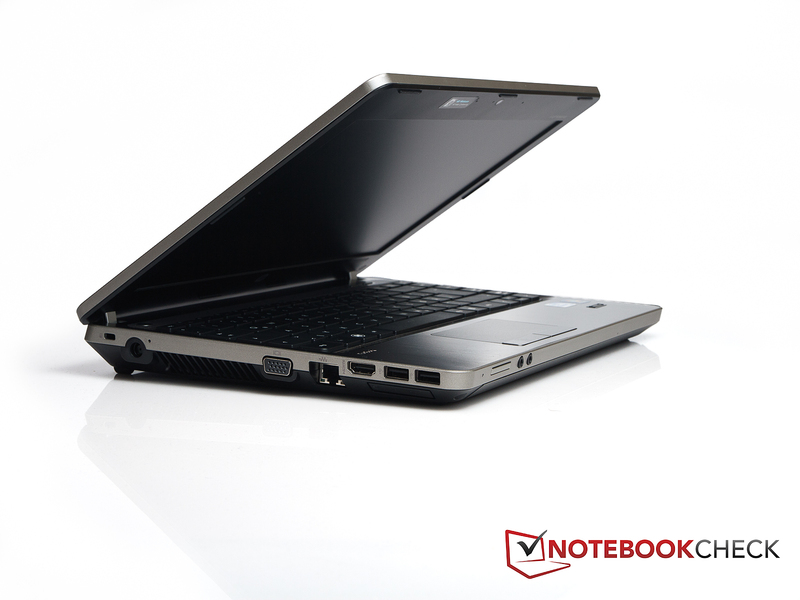 We only have one other notebook with an Intel Celeron B810 processor in our database until now. 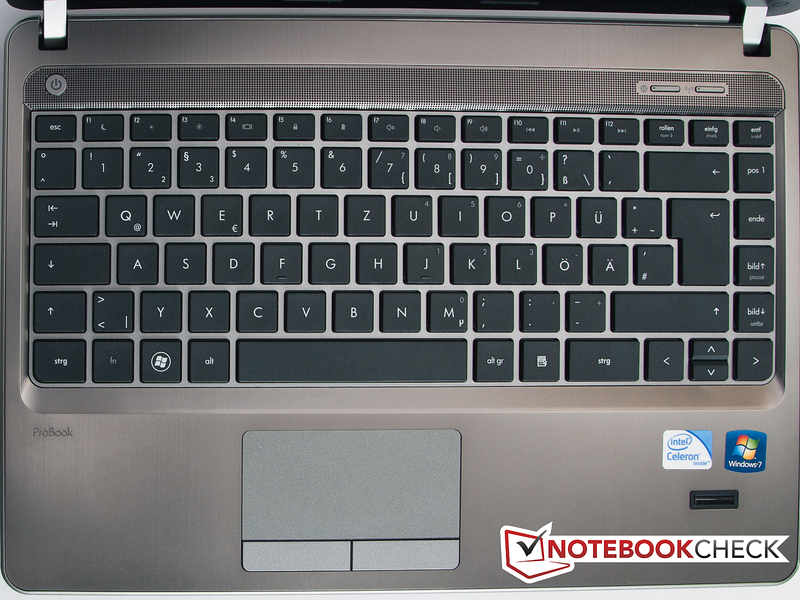 That is the HP ProBook 4530s, which was reviewed by our Polish colleagues from Notebookcheck.pl. Both notebooks are very close to each other in our benchmarks, whereby the processor in the 4530s is always a bit faster. Cinebench R10 multi rendering (64 bit) 4995.0 points (4330s) versus 5050.0 points (4530s). The processor doesn't support Turbo Boost and thus the corresponding benchmarks have to be omitted here. The processor always had its full capacity available on battery power during the tests. We use the program PCMark Vantage to assess the system's performance. Unfortunately, our Polish colleagues didn't perform this benchmark on their model. So, we don't have a direct comparison to an identical processor available. As in the processor tests, the notebook is pretty much at the lower end of our benchmark chart. The system performance is everything but outstanding with the 3644.0 points it achieves. For example, the Acer Travelmate 8172T-33U4G32N (330UM, GMA) and the Lenovo Thinkpad Edge 11 (380UM, GMA) accomplish a comparable performance with 3680.0, respectively 3619.0 points. We have to mention that both UM processors are low voltage CPUs, which are no longer up to date. The notebook doesn't do much better in a comparison with current devices. The similarly priced Lenovo ThinkPad Edge E320 (2310M, HD Graphics 3000) scores significantly better with 5457.0 points. Nevertheless, the system's subjective performance is absolutely satisfactory despite these low rates. However, it's important to know where the notebook's limits are. 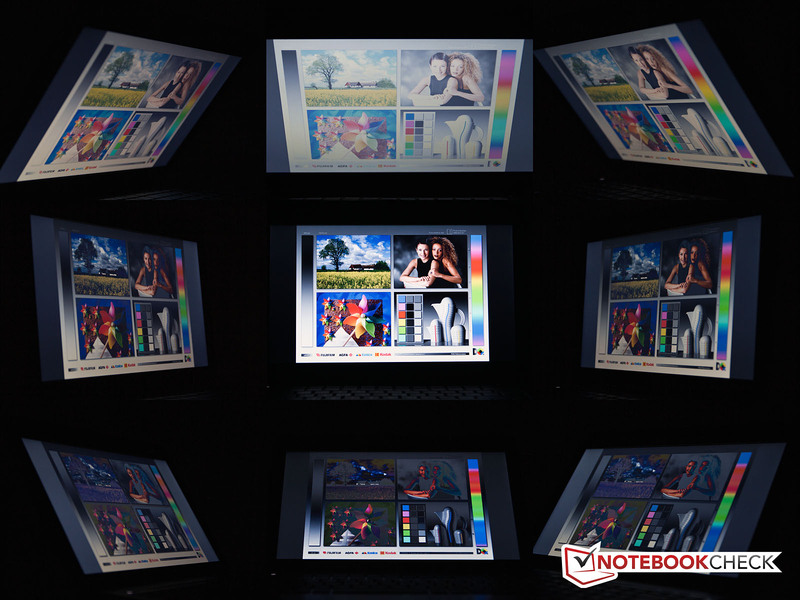 For example, the notebook is perfect for editing Office documents or making presentations. On the other hand, it doesn't make much sense to edit pictures and videos with it. 2 GB of RAM may look as if it could get tight. However, it is possible to for example work in Office documents while several browser tabs are opened for doing Internet research. A memory upgrade is also fairly easy, as we described earlier. 4 GB modules are available for starting at about €20. The notebook is far from its performance limits in normal use with a processor load between 10 percent and approximately 25 percent. The installed TOSHIBA MK3261GSYN hard disk is a 2.5 inch model with a (gross) capacity of 320 GB. This seems a bit low nowadays considering that many consumer notebooks are usually equipped with a hard disk capacity from 500 GB - 1 TB. However, it also has to be considered that not many space consuming movies and pictures are stored on a business notebook. Office documents that don't need as much space are sooner found here. The magnetic disks rotate with 7200 rpm. Unfortunately, the benchmark rates determined in HDTune don't differ much from a customary 5400 rpm 2.5 inch hard disk. The hard disk's rates are also rather average otherwise. The Intel HD Graphics chip integrated in the processor is an entry level graphics card of the low-end Intel Celeron and Pentium processors. Although they have the same name as the Intel HD Graphics from the Arrandale family, the cards aren't identical. 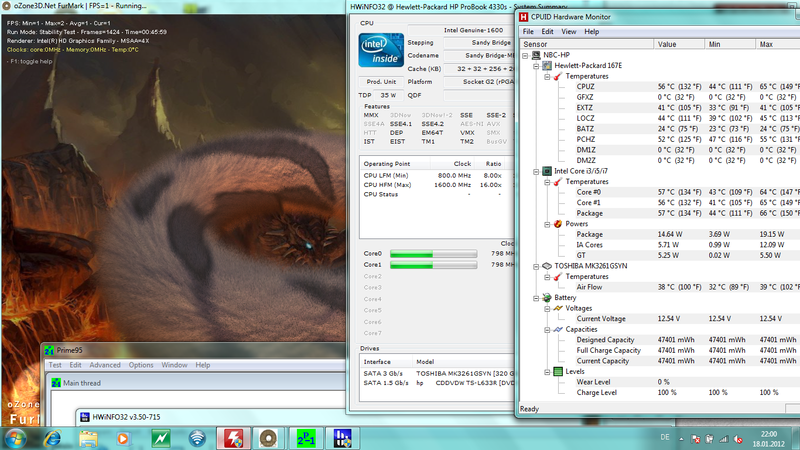 Moreover, the graphics card is a lot slower than the Intel HD 3000 Graphics in the Core models. The graphics card's performance also varies depending on the processor. For example, the card has a base clock of 350 MHz (Turbo 800 MHz) in an Intel Celeron 847, while it has a base clock of 650 MHz (Turbo 950 MHz) in an Intel Celeron B810. The performance of the graphics integrated into an Intel Celeron is approximately on a par with the old Nvidia GeForce 9400M graphics chipset. We use 3DMark 06 to determine the graphics performance. As expected also in this case, the results of the internal Intel HD Graphics is in the lower field of the chart. The notebook is located in the area of entry level graphics cards with 2424.0 points. The HD Graphics card usually lags far behind the Intel HD Graphics 3000 card integrated in the latest Core models. For example, the Lenovo ThinkPad L420 NYV4UGE (2520M, HD Graphics 3000) has the lead on the HP ProBook 4330s with 2528.0 points. The HD Graphics card of the ProBook 4330s is sooner on a par with the Radeon HD 6320 graphics card. Thus, the Samsung 305U1A-A01DE (E-450, Radeon HD 6320) supplies 2409.0 points. 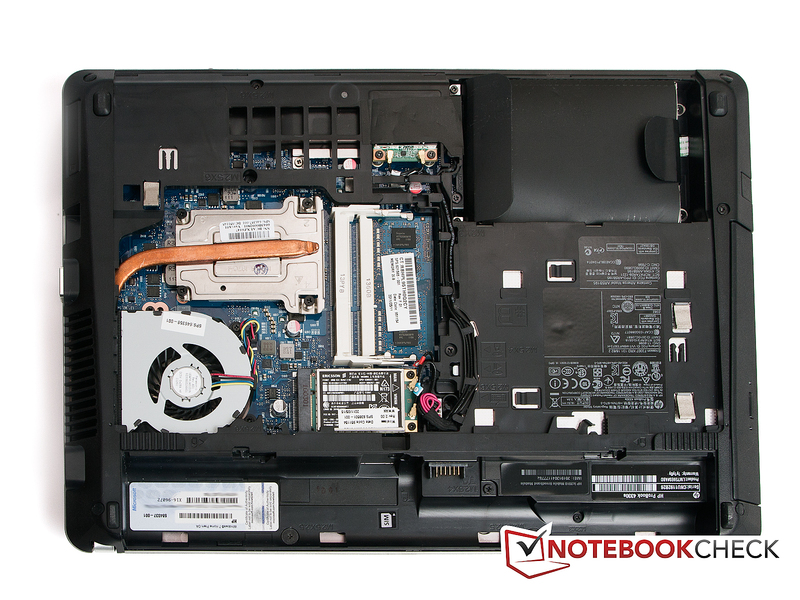 The HP ProBook 4330s isn't aimed at the gaming sector, so we will only take a short look at it. We use the somewhat outdated real-time strategy game, StarCraft 2: Wings of Liberty, for the test. The game still runs smoothly in the lowest detail settings and lowest resolution with 40 frames per second on the notebook. The refresh rate slides into an unplayable range as soon as only one level higher is selected and the details are set to medium. It's no different with high details. 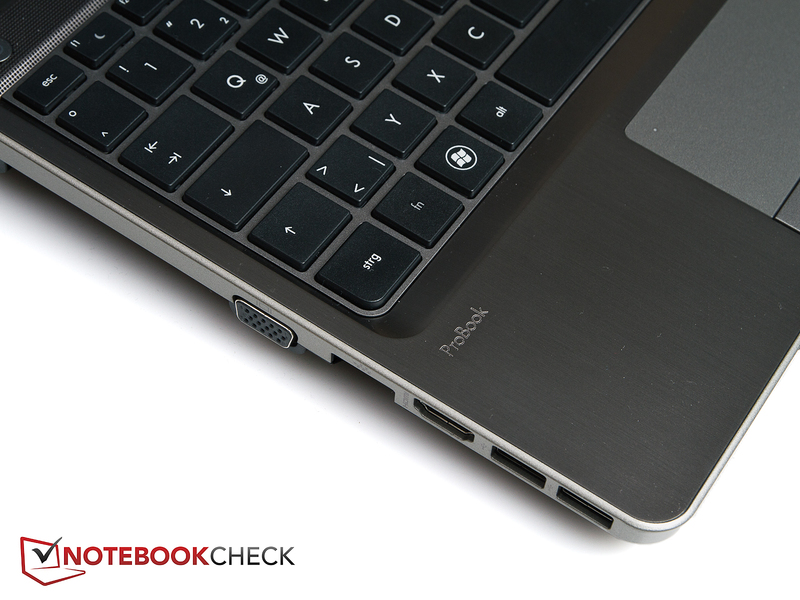 Our noise measurements confirm what we experienced during the entire test: The HP ProBook 4330s is commendably quiet. It emits a noise level of 32.5 dB (A) - 32.7 dB (A) in idle and thus has a pleasantly low noise level. However, we are surprised that the notebook isn't even quieter. The fan is permanently active and always generates a quiet noise. A look at the temperatures or a short grip at the bottom of the case shows that cooling in idle isn't required and could actually also be deactivated. The installed hard disk didn't run 100% quiet in our test. A quiet clicking noise was audible occasionally, in particular when copying larger amounts of data (32.8 dB (A)). The hard disk's noise was 32.5 dB (A) during normal use. The noise level increased slightly during full load. However, the notebook is still fairly quiet with a maximum of 35.5 dB (A). It doesn't happen very often that the optical drive is louder than the entire notebook during use. But that is the case in the HP 4330s. The drive generates a noise level of 36.0 dB (A) during use. 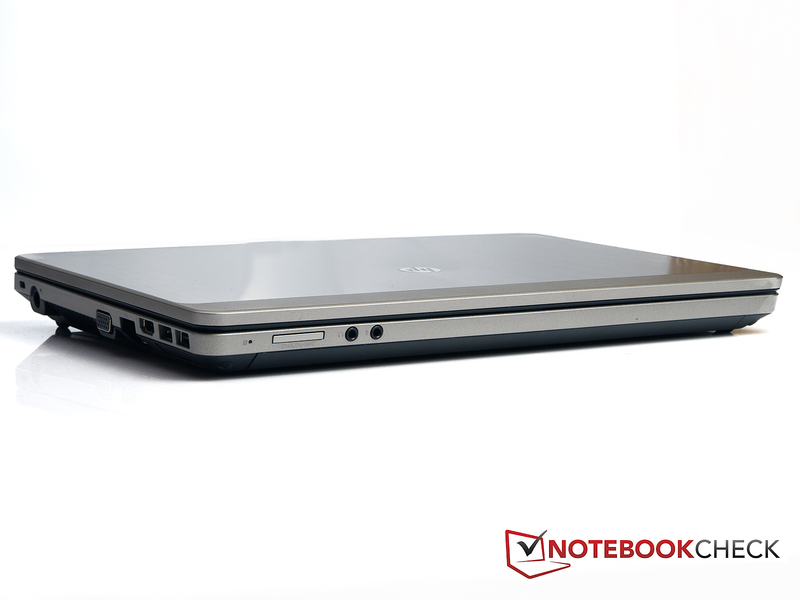 Overall, the HP ProBook 4330s is a quiet companion. Since the Intel Celeron processor doesn't exactly belong to the strongest of its kind, the cooling system doesn't have a hard time dealing with waste heat. Even the limited space that is available in a 13 inch subnotebook can't increase the temperatures. 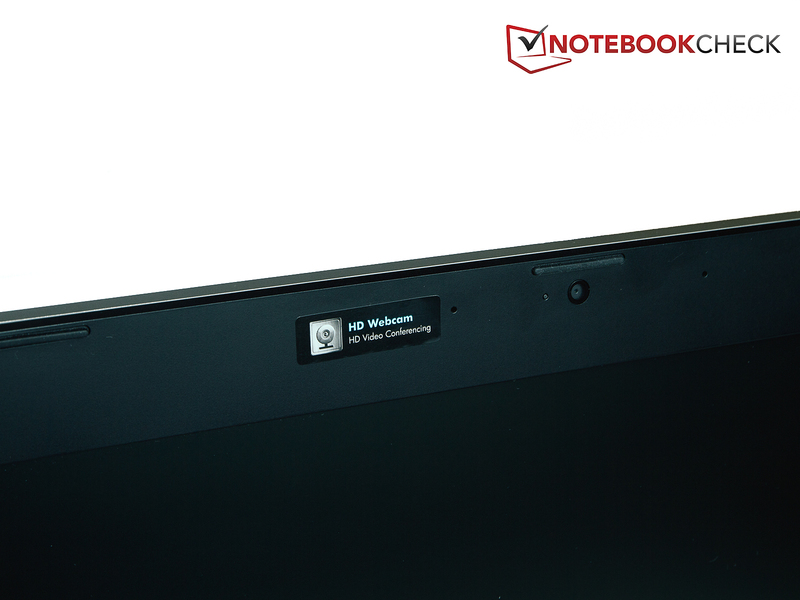 The average temperature on the notebook's top is only 21.9 degrees Celsius in idle, respectively light load (maximum 25.2 degrees Celsius). The wrist rest is pleasantly cool with 21.8 degrees Celsius (left) and 25.2 degrees Celsius (right). The bottom doesn't get noticeably warmer. The average here is 24.3 degrees Celsius and the maximum is 27.1 degrees Celsius. The rates hardly increase during load. 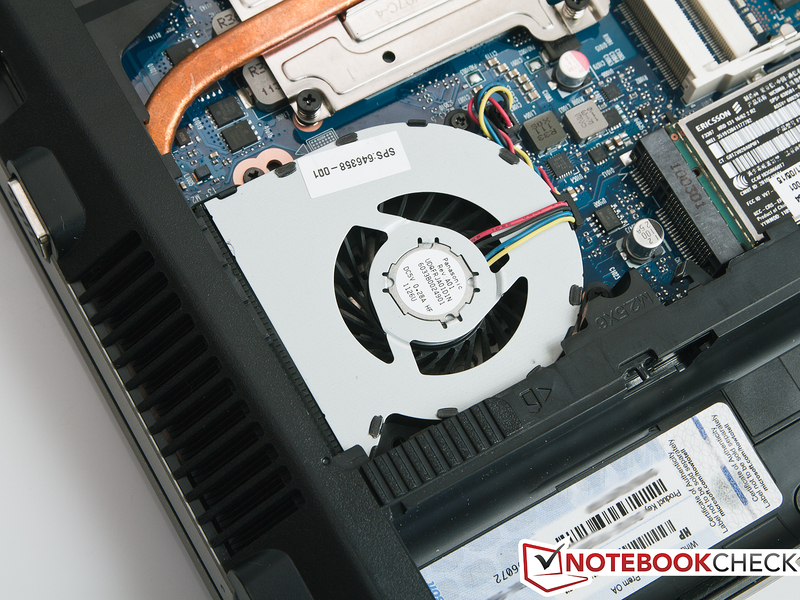 The average temperature is 25.9 degrees Celsius on the notebook's top and the maximum is 29.0 degrees Celsius. Both sides of the wrist rest heat up to 27.6 degrees Celsius (left) and 25.8 degrees Celsius (right). The notebook's bottom manages to surpass 30 degrees Celsius during load. While the average temperature is still 28.5 degrees Celsius, the maximum temperature is 33.5 degrees Celsius. Nevertheless, the notebook still remains extraordinarily cool. There is never the slightest danger of a surface reaching such a high temperature that it could get unpleasant. The HP ProBook 4330s had a fairly hard time with our full load simulation. Not that it got incredibly hot - the processor only reached a bit over 60 degrees Celsius here - but it hardly responded anymore. Every click was a trial when the programs Prime95 and FurMark were executed at the same time. The processor's clock fluctuated every now and then (see screenshot). However, it didn't improve the notebook's responsiveness. The subsequent 3DMark 06 benchmark was in the expected range, though. (+) The average temperature for the upper side under maximal load is 25.9 °C / 79 F, compared to the average of 30.7 °C / 87 F for the devices in the class Subnotebook. Basically, the sound produced by the speakers isn't convincing. Although HP advertises with "SRS Premium Sound", the sound system is rather lower average. The majority of notebooks on the market struggle with a too tinny sound and the lack of basses. A quiet crackle is also heard in the high pitches in our HP 4330s test sample. The Intel Celeron B810's power consumption of 9.9 - 13.6 watts in idle isn't significantly lower than the rates of a few Core i3 or i5 processors. 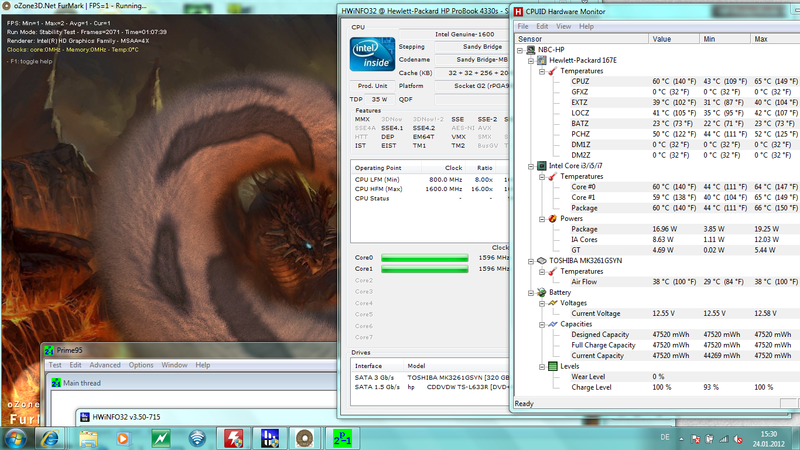 But, the load looks better for the Celeron; the processor is comparatively energy-efficient with 27.8 - 33.2 watts here. The 65 watt power adapter has a generous capacity and thus has no problems supplying the notebook with enough energy. HP states a runtime of 5 hours with the 6 cell battery in the 4330s. We can confirm this rate depending on the measurement we use. For example, when the notebook is used without WLAN and minimum brightness in office mode, we even reach a considerably higher rate of 6 hours and 46 minutes. We still reach a battery life of 4 hours and 28 minutes when surfing on the Internet with adequate brightness. The user has 3 hours and 16 minutes for mobile DVD entertainment. 1 hour and 49 minutes is possible when computing-intensive tasks are performed on the go. The standard battery needs 1 hour and 49 minutes to recharge. 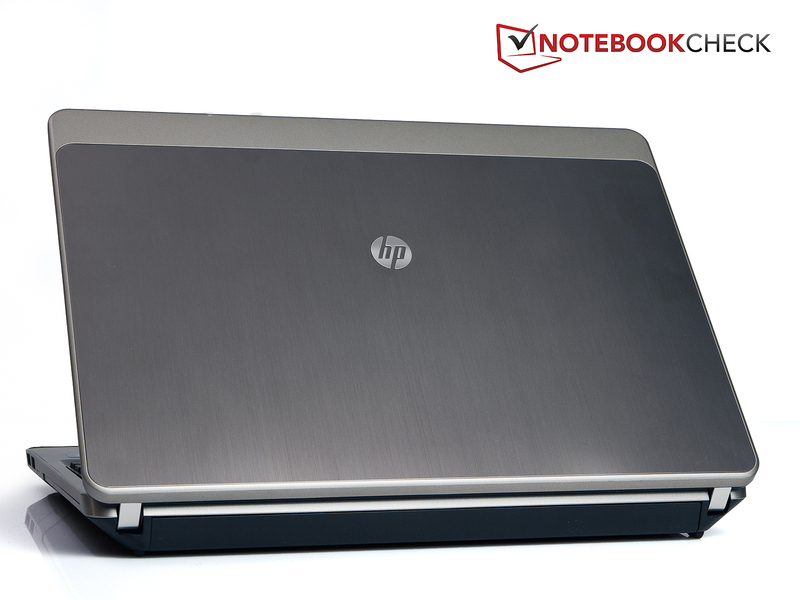 We would like to again mention the program, HP Power Assistant, which monitors the notebook's entire power consumption. In addition to specifications about the screen's present consumption or current enabled energy saving profile, there is also information about single modes. Thus, it is possible to open a diagram that shows how long the notebook can remain in a specific state, so for example, how long the notebook can run on battery power and so forth. 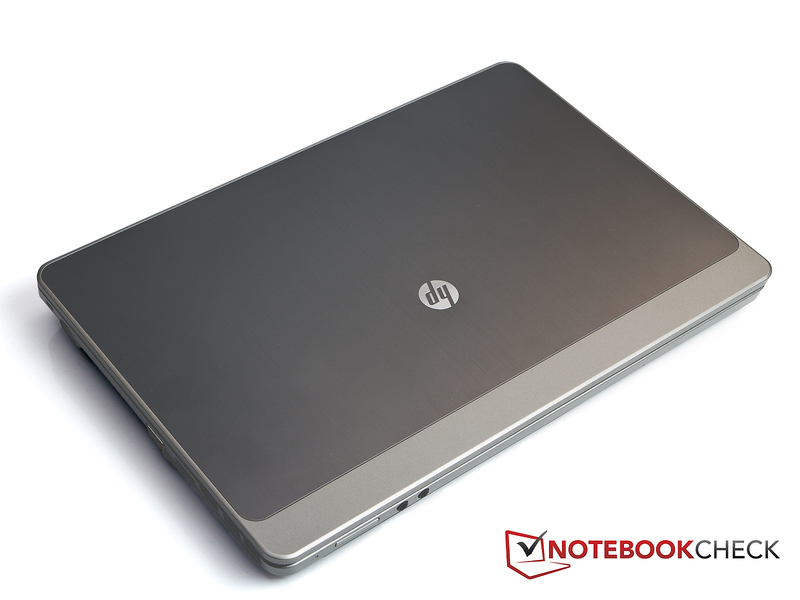 With the ProBook 4330s, HP presents an attractively priced subnotebook for business customers or those who prefer having a matt screen and metal case in their notebook. 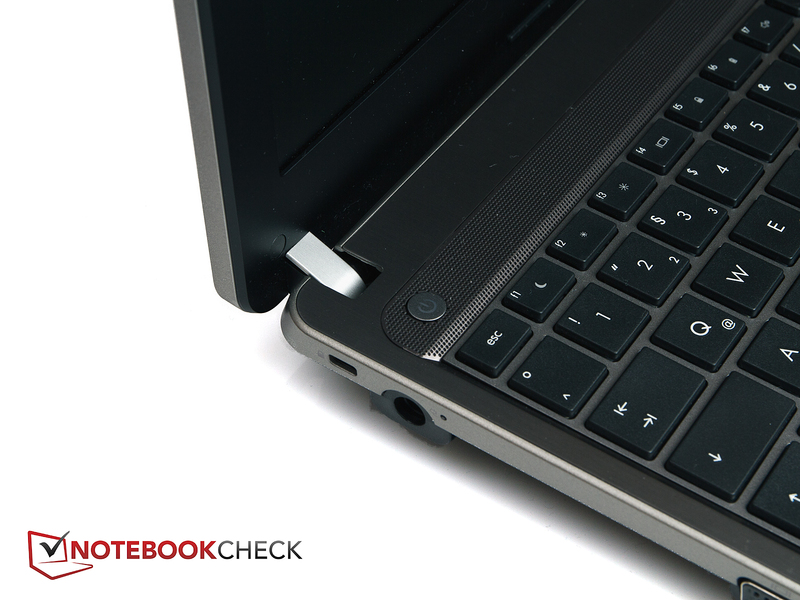 The subnotebook excels in workmanship. It can't quite reach the manufacturing quality of higher priced EliteBooks, but that isn't a disgrace for a laptop priced at under €500. The keyboard and the touchpad convince for the most part. Although there are a few minor reasons for complaint, the ProBook has very good input options. Another plus of the 4330s is its good mobility. The low weight and the good battery life are noticed here. Unfortunately, cutbacks are made on the screen in low-end notebooks - and the ProBook 4330s is no exception. While the brightness is just still acceptable, the black value and color reproduction isn't impressive and the contrast can only be called poor. However, it has to be noted positively that it is a matt screen and that it fulfills its purpose in the office field very satisfactorily. 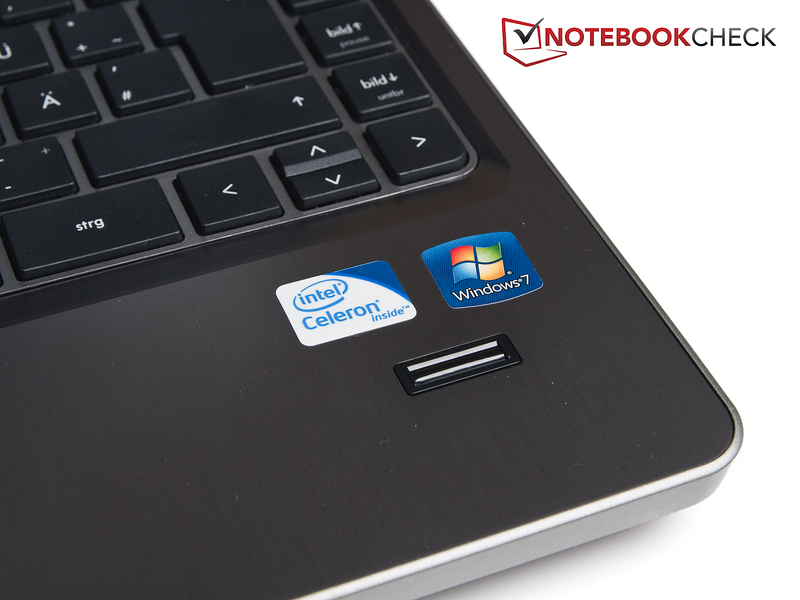 The notebook isn't a performance miracle due to the Celeron processor, but the notebook is nevertheless very well suitable for Office tasks. The use in Office life is likely one of the notebook's strengths. The performance is absolutely acceptable for editing documents, making presentations and doing Internet research. An ExpressCard 34 slot isn't standard for subnotebooks. The HP ProBook's rear without a docking port. The 6 cell battery can be replaced with a 9 cell battery. A UMTS module is also installed. ...and allows a free view on most hardware components. The webcam is in the display bezel. The fingerprint reader prevents unauthorized access. The wrist rest is made of aluminum and has a pleasant temperature even during full load. The two only dedicated function buttons are for the mobile technologies and the browser. 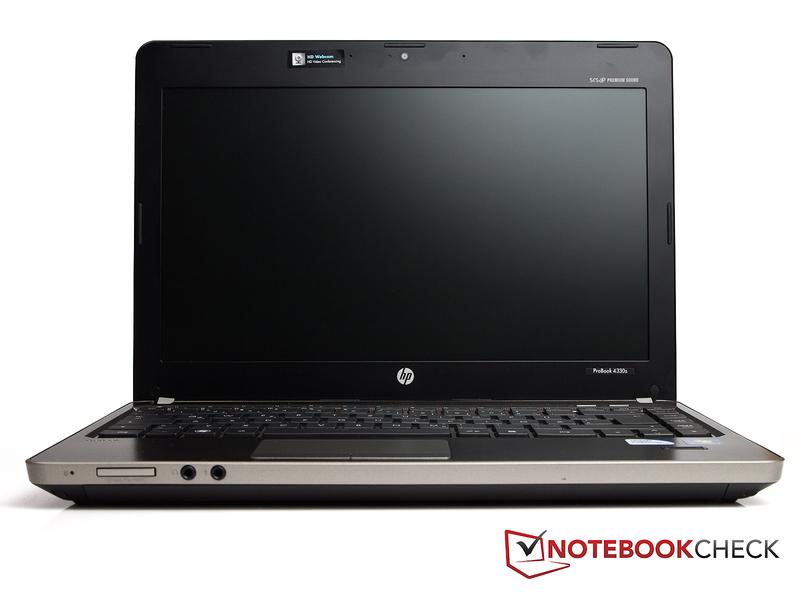 ...dominate the HP ProBook 4330s' exterior. ...in a subnotebook for less than €500. ...opened easily with one hand. However, the maximum opening angle isn't very big. There's even more aluminum and a matt screen inside. The plastic hinges are well adjusted and prevent extreme teetering. Just because Premium sound is on it doesn't mean that premium sound is in it. The sound isn't convincing. The notebook's workmanship and design. HP has done a good job, considering the notebook doesn't even cost €500. A docking port. A better screen would also suit the notebook well. Buyers looking for a notebook with UMTS and a small screen size at an acceptable price normally turned to a netbook until now. The HP ProBook 4330s represents a serious alternative for these users now. 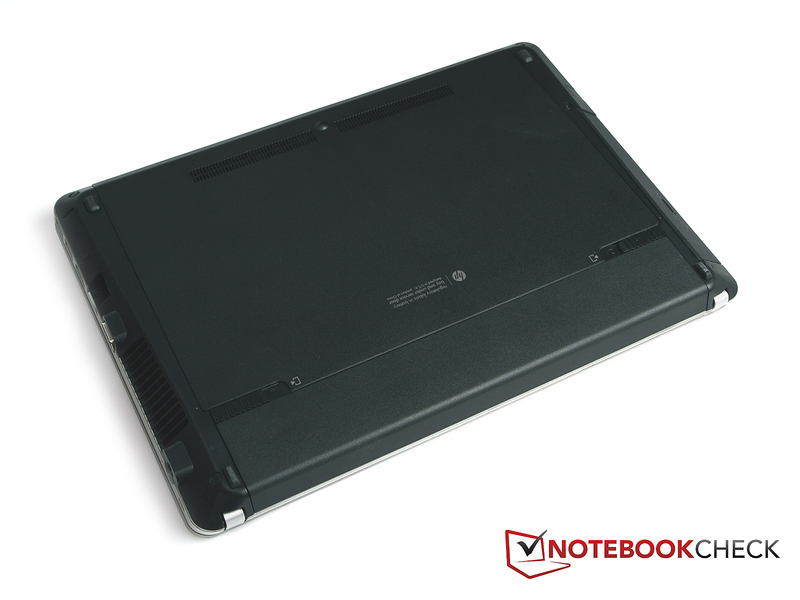 Those who prefer to work with notebooks from the manufacturer Lenovo may be happy with the Lenovo ThinkPad Edge E325-12972FG for about the same price. AMD technology is used here, instead of technology from Intel. Another contender would be the Vostro V131 from Dell. 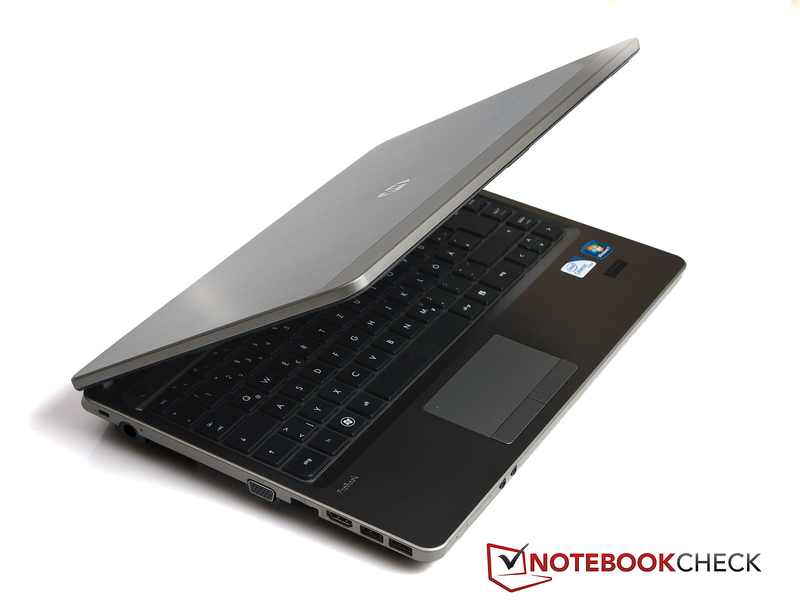 It has a significantly better application performance thanks to an i5 processor. It also has a stronger graphics card and bigger hard disk. However, it is a lot more expensive with about €780. A less expensive alternative would also be the Fujitsu SH531.